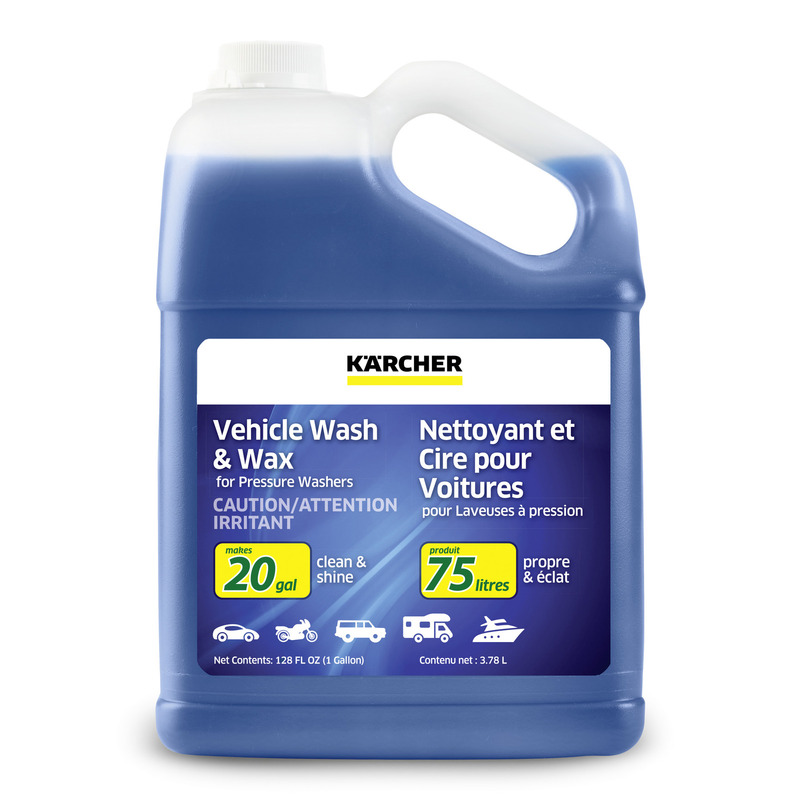 Use Kärcher's Vehicle Wash and Wax with your pressure washer to create the perfect car wash system. This gentle formula rinses away without leaving residue behind, revealing the original luster of your car, truck, SUV, motorcycle and more. 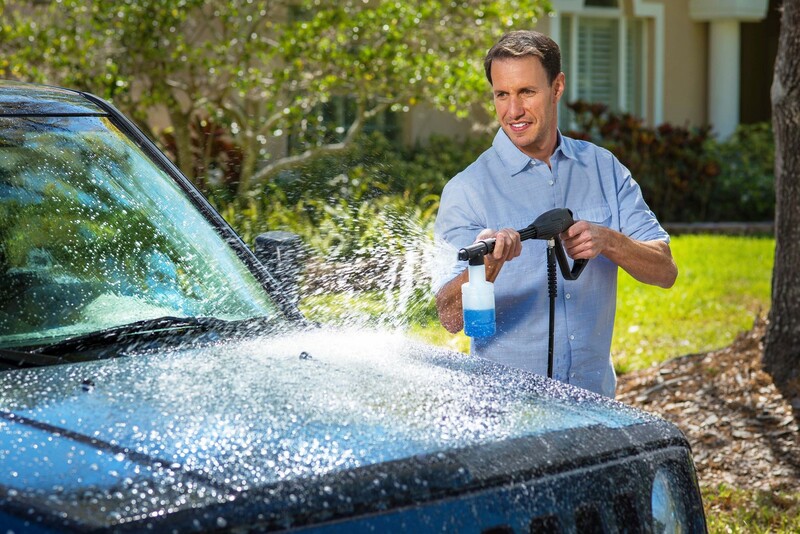 Highly concentrated, this one gallon of concentrate makes up to 20 gallons of ready to use Vehicle Wash – you control the dilution. This pressure washer vehicle shampoo is biodegradable, made in the USA and is compatible with all Kärcher Home & Garden pressure washers, as well as consumer pressure washers made by other brands. 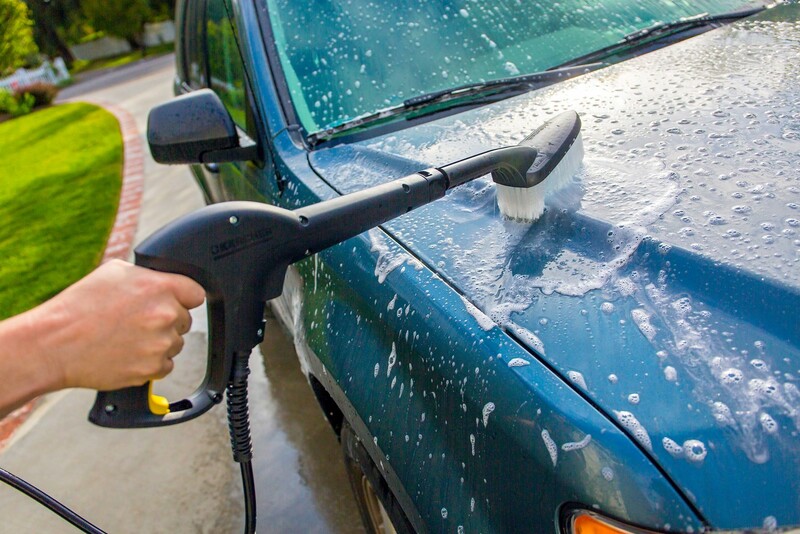 Vehicle Wash & Wax - Gallon is rated 5.0 out of 5 by 1. Rated 5 out of 5 by Ausman from Car Was/Wax Was looking for something like this, hopefully the wax is good enough to help protect the car between hand waxings.